Destiny's Child sang about it. So did Shania Twain. And we all know "I am Woman Hear Me Roar". But what have these songs and other messages of female independence done to us? I've found that women today, have a new taboo. It certainly isn't abortion, tampons, or breastfeeding. Oh no, we pride ourselves on being able to talk about all of those things. The new taboo, is dependence. You heard it ladies! So pick up the the latte you bought with your own income, because this is about to get real. "But I'm an independent woman....I work full time...I have my own set of friends...I don't NEED a husband/boyfriend..."
As if being a dependent woman is such a horrible thing. Many women today look down on their non-working sisters, and the distinction is drawn even clearer when we talk about working and non-working mothers. Something happened after the women's rights movement. We gained so much, but lost a bit too. After all, how can a person even be in a relationship if there isn't some dependence involved? If you don't depend on a person, aren't they just, a stranger? Let me tell you, I depend on my husband for many, many things. And I'll be quite transparent and share a few here...yes this is just a small portion of things I count on my husband for. 2. To supplement my income. I've been teaching for several years now and I make $50,000. 3. To lift heavy things when I'm pregnant. And sometimes when I'm not pregnant. 5. To do his fair share to maintain our home, which includes raising our boys. Dependence is not a sign of weakness. In fact, I believe it to be a sign of strength. It takes trust to depend on a person and it takes strength to trust a person. So if you feel angry that your chef forgot your birthday or left you waiting until 3am where he was, well, that's perfectly natural. you should be mad, you've been let down. I'm not saying we need to start baking apple pies and make martinis for our chefs when they get home. But I do think we need to acknowledge that we are not as independent as Beyonce wants us to be. So true! Dependence in a relationship is about keeping the seesaw even. When my chef was apprenticing, I brought home the paycheck. When I was home with our child, he became the sole breadwinner. Committing to one person is risky because it makes you vulnerable, but hey, I'm sharing my life with someone, not existing under the same roof with a stranger. I give and he gives. 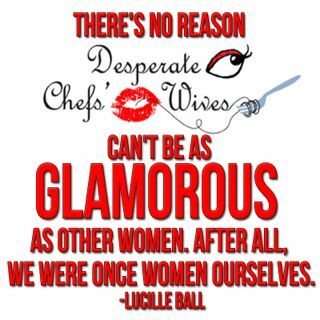 It's how I've stayed married to a chef for 29 years. It's hard to do, even harder when there are kids because you WILL be single parenting most of the time. I depend on my husband to love me (perfectly stated, Hilary); to listen to my concerns; and to bring home the larger paycheck (because he earns more than me). Don't forget - he depends on me too; a little fact I remind him of as often as necessary. Im so glad I found this blog! I've been with my chef going on 2 years now and I find that I can handle everything but the hours and lack of seeing each other. That dependence list is exactly what I needed to read. Honestly, since my husband's culinary school days, our relationship has gotten much better. But it was a lot of work, and remains to be a constant process of working through our troubles. But I certainly do not want to give you false hope. 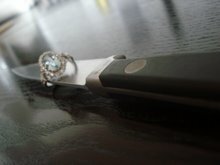 If this blog opens your eyes to the possibility that dating a person (in any profession) who has no time is not a life everyone wants to have. If you do decide to keep at it, keep us informed! Ask for help, these ladies who read the blog are the experts. Use them! 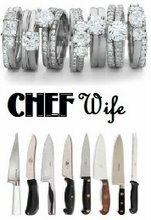 I totally agree with this list- I depend on my chef husband to love and support me and supplement my income. However, I didn't sign up for being a single parent that works full time (and I make more money than he does and I still works less hours)? Sometimes I just want to give up. I think that I might as well be a real single mother without the restrictions of being a married woman. What do you think? HI Anonymous, I definitely would not leave your husband without seriously considering the outcome. And of course, talk to him! I can't give you an adequate response without knowing more about this. Feel free to email me, or better yet- expand your story here in the comments so that others can offer their points of view. I've been dating my chef for 3 years. His career has been a bit backwards, He opened and sold a restaurant and is now in culinary school at fci and working a line full time working his way up the ranks ("to do it the right way"). At this point I've come to terms with the fact that he's not going to be around but for some reason his missing my birthday this week really got to me. Finding this blog could not have come at a better time. I took a few days away from him and was just about to throw in the towel. Reading your entries has been so therapeutic and reassuring. I'm not the only one going through this and it will get better! We have our work cut out but its love and its worth it!